As I have responded to disasters over the last decade in China, Tibet, Indonesia, Haiti, Japan and the Philippines, I have learned that it is the weakest that often get hit the hardest. Disasters overwhelm local communities and those who are vulnerable suffer the most in the midst of chaos. OpSAFE International is committed to helping little children come through disasters safe and sound, in body and mind. All parents know that when your child is hurt, there is more to do than just clean and bandage the wound. You must reassure them that their hurts will heal in time. Likewise, in disasters, children need more than just food, shelter and medicine. They need hugs, help and hope! However, at the very time when the children need them the most, their usual caregivers, parents and teachers, are often struggling with their own deep hurts and fears. The emotional needs of children can be overlooked because of the much larger problems the adults are facing. However there is a great risk in neglecting the mental health of children after trauma. Research has shown that childhood trauma leaves children at risk for a host of social, neuropsychological and medical problems such as PTSD, school drop-out, teen-age pregnancy, adolescent drug-use and anti-social behavior. When a disaster strikes, the seeds are sown for a crop of social problems that can plague the community for decades as the children grow up. But when a child receives emotional care and support, the same devastating disaster, can actually become a source of growth. The child overcomes adversity, gaining in resilience and confidence along the way. OperationSAFE is a program for children that teaches them how to be resilient to trauma and recover from the chaos that they have been through. 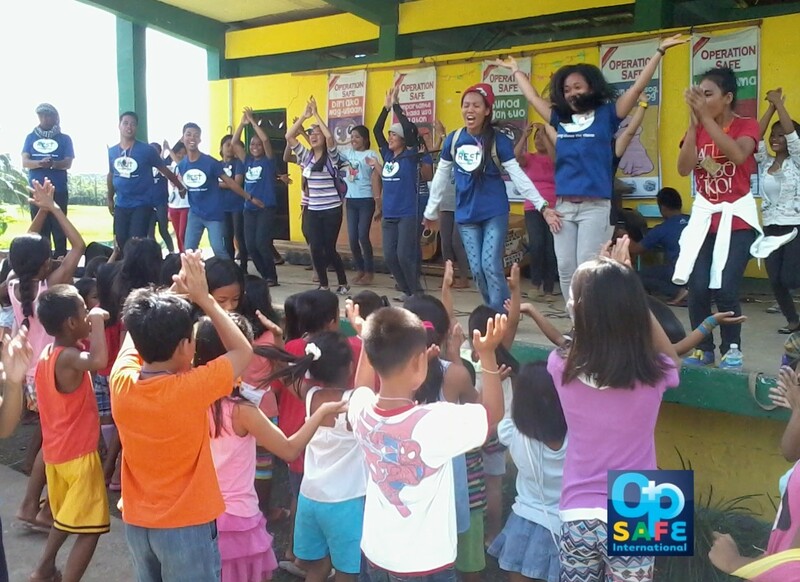 Because it is conducted not by outsiders, but by local churches and organizations in their own community, the children gain an ongoing resource that they can turn to again in times of crisis. Volunteers who speak their local dialect, know their situation, and live in their community are trained in psychological first-aid and equipped with child-friendly materials and curriculum that make it easy to give hugs, help and hope. Our vision is that every child who experiences trauma would receive the care and support that they need.